Legislation providing students with alternatives to Keystone Exams to fulfill high school graduation requirements has been signed into law. The new law will provide students who do not score proficient on Keystone Exams with alterative pathways to demonstrate their readiness to graduate from high school. The Keystone Exam graduation requirement has been delayed until the 2021-22 school year. The alternate graduation options would take effect when the Keystone exam delay expires. Pennsylvania’s anti-hazing laws are now the strongest in the country as a result of landmark legislation recently enacted. Aimed at preventing future hazing-related tragedies, the Timothy J. Piazza Anti-hazing Law was named in honor of Jim and Evelyn Piazza’s son who died after a 2017 fraternity pledge event at Penn State University. The changes made emphasize prevention, enforcement and transparency in an effort to end hazing. Penalties are increased for those involved in hazing; schools are required to have policies and reporting procedures in place to stop hazing; and parents and students are provided with information about what is happening on campus. It also establishes clear-cut parameters on hazing for organizations such as fraternities and sororities while creating safe harbor provisions so students know they can call for help for someone in distress without fear of prosecution. 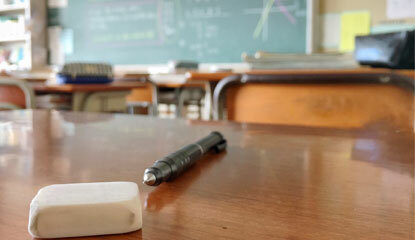 The School Safety and Security Grant Program provides funding to school districts, intermediate units, area vocational-technical schools, charter schools and private residential rehabilitative institutions for a wide variety of projects to improve school safety including hiring school security officers, purchasing security-related technology, completing safety and security assessments, implementing violence prevention curricula, and offering counseling services and other programs to protect students. Luzerne County: Berwick Area, Crestwood, Dallas, Greater Nanticoke Area, Lake-Lehman, Northwest Area, Wyoming Area and Wyoming Valley West. Pike County: Delaware Valley, East Stroudsburg Area and Wallenpaupack Area. Susquehanna County: Blue Ridge, Elk Lake, Forest City Regional, Mountain View and Susquehanna Community. Wayne County: North Pocono, Wayne Highlands and Western Wayne. Wyoming County: Lackawanna Trail, Tunkhannock Area and Wyalusing Area. Pennsylvania’s Capitol building was officially opened on October 4, 1906, and was heralded by President Theodore Roosevelt as “the handsomest building I ever saw” at its dedication ceremony. 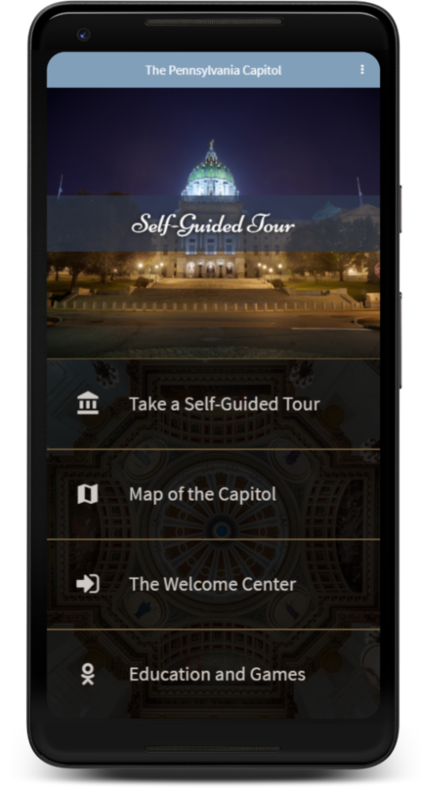 The Capitol Tours Guides have unveiled a new self-guided tour app to help people navigate through this historic building, while highlighting the history and architecture that make our Capitol unique. Visitors are welcome to explore the Capitol building at their leisure between the hours of 8:30 a.m. and 4:30 p.m. on regular weekdays only. This app is available in English, Spanish, French, Italian, and German. Sen. Lisa Baker, Kitty Moules, Sen. John Yudichak and others involved in the crafting of SB 934 look on as Gov. 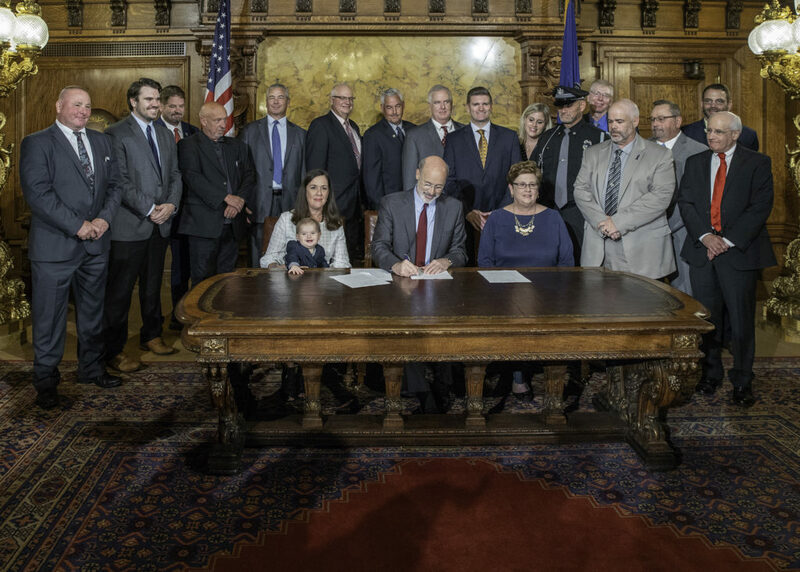 Tom Wolf signs an elevator safety bill into law. The legislation creates an Elevator Safety Board to conduct a monthly review of issues related to elevator construction, maintenance, and inspection, and memorializes the life of Luzerne County Corrections Officer Kristopher Moules, Kitty’s son, who died two years ago following a violent inmate assault and subsequent fall down an elevator shaft. 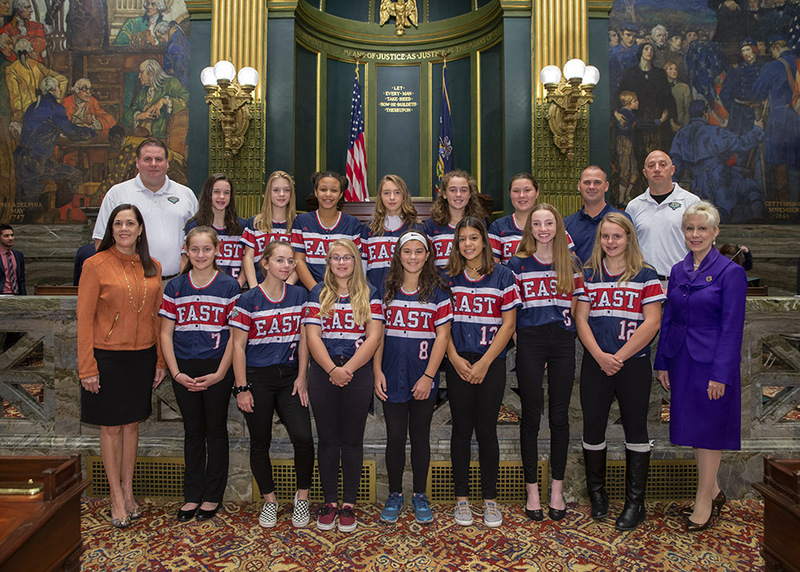 Coaches and players from the Tunkhannock Majors Little League softball team visited the Capitol and met with Sen. Lisa Baker and Rep. Karen Boback and were honored in both chambers for their runner-up finish in the World Series this summer. Pictured, posing for a photo in the Capitol rotunda are, front row, from left: Sen. Baker, Julie Roote, Piper Robinson, Ella McNeff, Serenity Kerr, Kaya Hannon and Emily Patton. Second row: Erin Van Ness, Alexis Gilroy, Elaina Kulsicavage, Sydney Huff, Paige Marabell, Hannah James and Cali Wisnosky. Back row, are Coach Bill Huff, Manager Tim Hannon and Coach Jason Wisnosky.